I'll start this thread off with a caveat, I cannot test 100% of shampoo's on the market today so this test is in no way complete. However please keep in mind that these are MY thoughts on the shampoos after using them and hunting for (in my mind) the best value for money shampoo on the market that delivers the best user experience/result, and in no way reflects the opinions of any other member of Detailing World. All the shampoo's tested managed to clean my car so they all work! 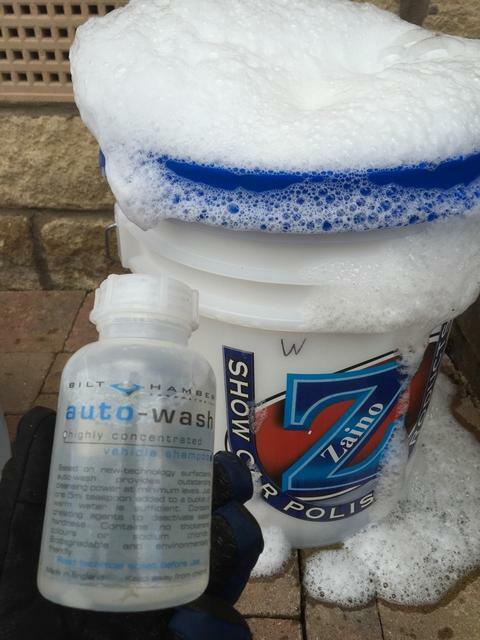 Prior to using the shampoo the car was always snowfoamed with Angelwax fast foam. I have also attempted to make sure the car is in roughly the same condition (dirt wise) before I re-wash the car to ensure the results are as accurate as possible. For the purpose of these reviews the car was washed with a Microfiber Madness Incredimitt, also FYI I live in a very soft water area, so your results may differ from my findings. I have seen a lot of threads (one of mine included) asking for recommendations for the next shampoo. With this in mind I thought that I would try to review and rate some of mine. At this point I'll say to any supplier that if they would like to send me a sample I'll update this thread accordingly with the results. So how will this be structured? The Shampoo's will be all marked out of 10 and the rating adjusted accordingly. My criteria for a shampoo is...It must be PH neutral and contain no waxes etc. i.e. I want a pure shampoo. I also have a few shampoo's that I'm fairly confident not many people will have tried so hopefully it may highlight what's out there. Again if anyone would like to send me a sample i'll review, rate and update this thread accordingly. 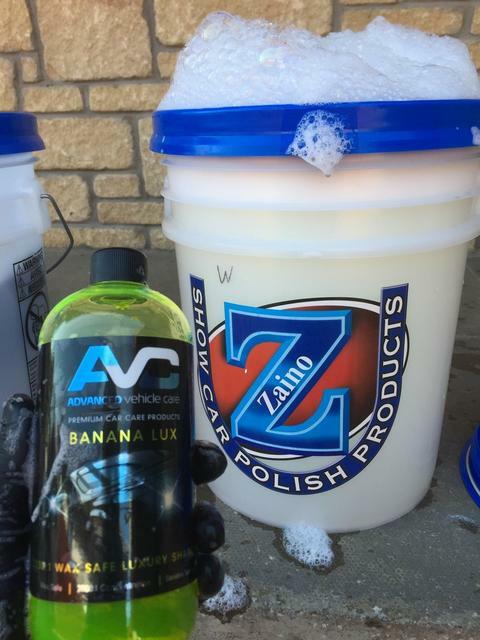 Shampoo's tested thus far: .50.Cal Tracer Shampoo, Adam's Shampoo & Adams Wash and Wax, Alien Magic Wave, AM Bubbles, Ammo Paint Cleanser, Angelwax Shampoo, Autoglym Super Strength Shampoo, Auto Allure Bathe Shampoo, AutoGlanz Bubblicious, AVC Banana Lux, BH Auto-Wash, Bouncers Slick Mick, Britemax Cleanmax, Britemax PureMax, CarChem 1900:1, CarPro Reset, Chemical Guys Mr Pink, DetailedOnline Elite Shampoo, Detailers Passion Super Sudz, Dodo Juice Born To Be Mild, Dooka Wash, EZ Car Care Supercharged, Fictech Red and Black Bubble, Finish Kare #118 Shampoo, G3 Pro Body Prep Shampoo, Garry Deans The Perfect Soap (old and new versions), Gyeon Q2M Bathe+, GleemFreaks Super Suds, Gtechniq Gwash, Illuminate Car Care Shampoo, Lusso Auto Bathe, Krsyal Kleen Choccy Wash, Nanolex Pure Shampoo, Nasiol Cleanion, Obsession Wax Purify, ODK Jet, Optimum Car Wash, Orchard Autocare Bramley Bubble Bath, RaceGalce AquaGlide, Slick Monkey Slick Suds, Sonax Deep Gloss, Wolf's Chemicals White Satin, WoWo's Dry Shampoo, WoWo's Wax Shampoo, Zaino Z7. This is a very slick shampoo and gives very good suds which last, the appearance is slightly worrying as it looks a lot like fairy liquid! Priced at $18 or about £12 it's not too bad, the main issue with it is the shipping and import tax, if you bought this alone and had it shipped to the UK it would total close to $60 at a guess, so if you are planning to buy this shampoo it's best to group it with other items. For this review I have scored it as if you were buying it on its own. The instructions say to use 3 squeezes and this equates to quite a lot of product. so it looses marks for economy. A good shampoo, however the amount used and cost let this one down. A great looking shampoo which is nice and slick, it also gives masses amounts of suds which last the whole wash.
As this is the tailor made shampoo it costs a wee bit extra (£1 I think) and £4.99 for delivery, making the total around £17. I added 2 capfuls to the bucket and it foamed up nicely, so scores good marks here. An extremely good shampoo, at a good price when considering how long the shampoo will last. The only slight let down for me is the fact that my blue shampoo has turned green and is a bit more fluid so I may have to speak to CarChem to see what they think and may end up getting a new one. Update CarChem replied to advise the shampoo is still good. This is a great smelling shampoo from AM Details, it smells of mangos . It is also quite slick. The suds were good at the start, however I found that they didn't last as well as some of the others I've tested. £9 for 500ml which is ok, the main issue I had with it was the £6 p&p. I want to be clear with this one that the total cost was not the main issue, it was more a mental one of paying 2/3's the cost of the product in p&p. 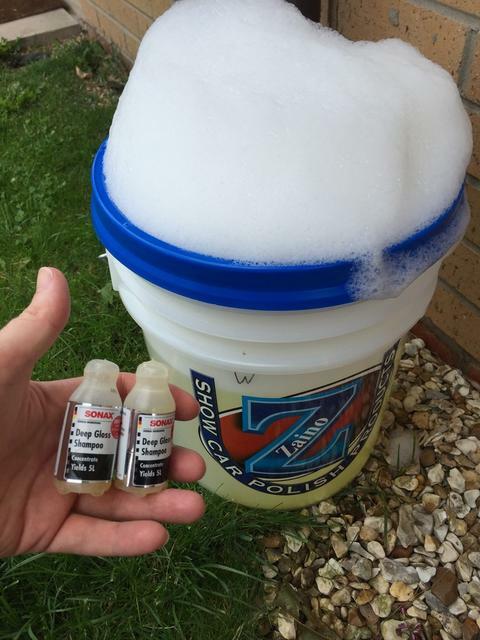 The instruction say to add 2 capfuls to my wash bucket, however I found that I always needed to use 3 capfuls, not the end of the earth and depending on the size of your wash bucket you may find 2 caps are enough. A good shampoo with a great smell, for me the main sticking point is the p&p at the time of my last purchase. This shampoo is quite slick and has a great smell, the bubbles were good and seemed to last for a good while. I picked this up in the Angelwax store for around £6, if you bought it online it would run you around £7.99 plus around £3 P&P. I used 3 squeezes to get the suds I was happy with. So like some others it looses marks for economy, but gains some marks for the price when collecting in person. This is a good shampoo and very cheap if you're able to collect it from the store, I personally would have liked to use a bit less product but this may just be my set up. Update, upon using this shampoo again I have revised up the suds and slickness rating by 1 point. This shampoo actually annoyed me a bit, calling it the Perfect Soap seems quite ballsy, so I thought I would give it a test. 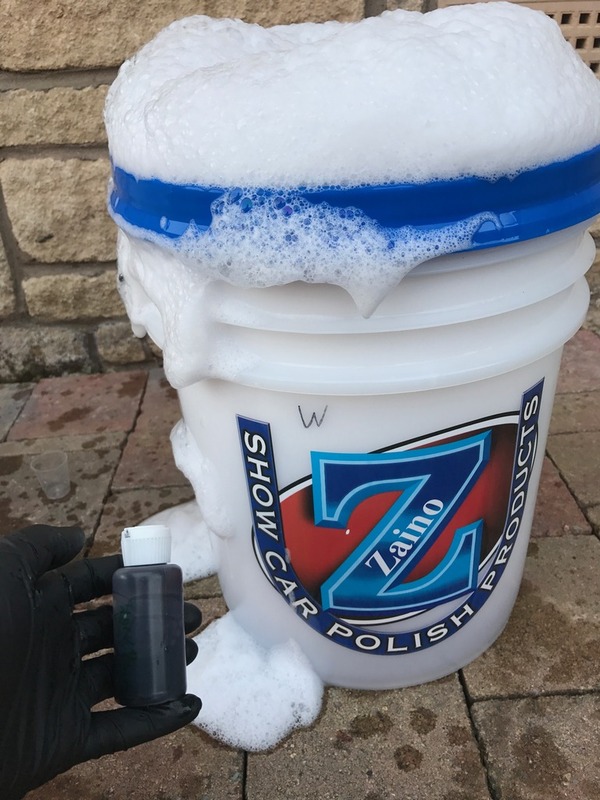 The shampoo is extremely slick (even more so than the previous best), there are a tonne of suds which lasted 2 full cars (note, I did have to add additional water for the 2nd car, which generated more suds, but what was left at the end of the first wash would have lasted). To top it off is smells of bubblegum. At £22 this is the dearest shampoo i've tested, plus the P&P took it up to around £26, what swung it for me was that 1oz makes 3 gallons! 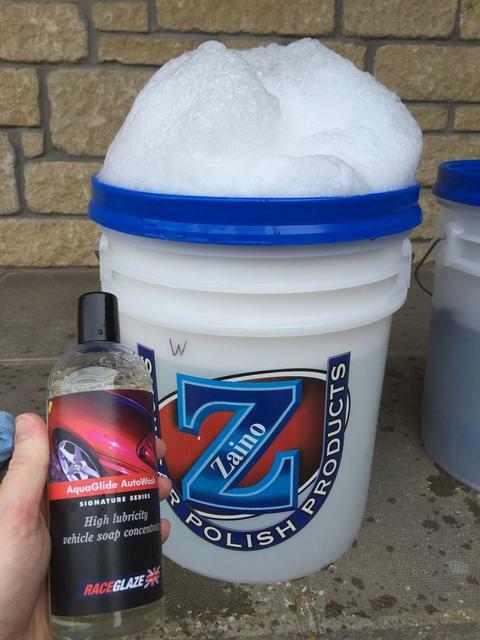 I put 1 capful into my wash bucket and foamed up. On reflection 1 capful was far too much product to use! Next time it will be 1 teaspoon. This ratio actually works it out to be the cheapest shampoo in the long run, which surprised the heck out of me. Calling the perfect shampoo was ballsy, but on reflection is it extremely close to the perfect shampoo for me! The only blip on the score was the initial outlay of almost £30. However given that it should last at least 4 times a long as its nearest competitor I think this price is justified. UPDATE Garry Dean has confirmed that this is no longer for sale in the UK, his site does not appear to ship to the UK either. Therefore as it is not available, short of going to the USA, I have updated the cost from 9 to 0. Incredibly this doesn't make it at the bottom of the list! Cost: At £8.99 (for 500ml) plus £4.99 P&P it is quite reasonably priced as a mid range shampoo. Use: The instructions say to dilute 50:1 for heavy soiling and 500:1 for light soiling. 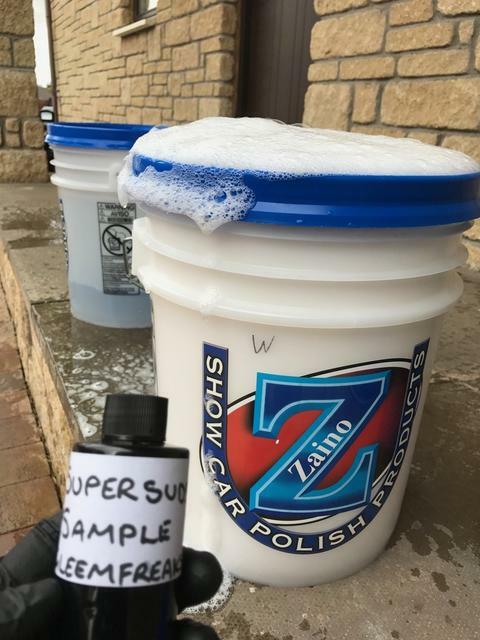 My personal opinion is that I would prefer it to be detailed in capfuls in order to use the same amount each wash, I went for approximately 70:1 based on the size of my wash bucket and the size of the sample, at a best guess. A fantastic smelling shampoo at a reasonable price, I'm not 100% sure if it was a "pure" shampoo but it was enjoyable to use. My only gripe would be the usage, I prefer instructions by the number of caps to be added, as I felt it was very easy to use more product than was necessary. I had high hopes for this shampoo as it has been on my list of shampoos to try for a while now. It is extremely slick and gives tonnes of suds which last the whole wash. The sent is that of Raspberry (I think). Cost: At approximately £17 for 500ml (CYC, and prior to discount) plus P&P which takes it to approximately £20, it's up there with the most expensive shampoos. Use: The instructions say it can be diluted up to 800:1 as necessary, as with the .50.Cal shampoo my personal opinion is that I would prefer it to be detailed in capfuls in order to use the same amount each wash, I ended up using about 35ml for my tests and this gave the desired results. A great smelling shampoo with plenty of suds, however the high cost combined with amount of product (800:1 is quite a low dilution ratio compared to some of the other shampoo's on test) used let this one down for me and stops this from being higher up the table. A nice smelling shampoo from Gtechniq (Cherry) which was quite slick on the panels. It gave a reasonable amount of suds however they did not last as long as some of the others tested. Cost: At almost £13 for 500ml (prior to discount) plus P&P it's on the higher side of the mid priced shampoos. If you were going to go for this shampoo it would be more cost effective to go for the 5ltr at £45. Use: The Instructions say to add 2 capfuls for light soiling and 4 for heavy, I went for the middle ground at 3 capfuls, however on reflection and to get the suds I was after I think I would be using 4 capfuls for a regular wash.
A good shampoo from Gtechniq, however for me it misses the mark on suds and the cost is slightly high when taking into account that I would use more product than some of the others on test. Update, upon further consideration I have revised the cost and economy down by 1 point. For some reason Adam's products always seemed to slip under my radar until it was suggested I give this shampoo a try, and I'm glad I did. This shampoo was very slick under my mitt and the scent was pleasant but not too strong, it generated a tonne of suds which lasted well. At £9.99 (Prestige Car care) plus £3.99 P&P it is pretty much bang in the middle price wise of the shampoo's tested so far. Instructions for use on the website were hard to find and the sample which was sent by BTS (thanks ) didn't list it, however a quick PM to Prestige Car Care and I had my answer, 2oz - 3oz, I went for the lower side to see the results, on reflection 2oz was just about the right amount, I probably used slightly less that 2oz as it was hard to judge however at best guest 1.75oz. An extremely good shampoo, which sailed under my radar for too long! The only reason it's beaten into a close 3rd place at the time of writing is that I used slightly more product than the second place shampoo but the difference was pretty small. Given the quality of other products from AF I was keen to try this shampoo which Aaron very kindly sent on to me. This shampoo has a reasonable amount of slickness however from a personal viewpoint I would have preferred it to feel a tad slicker. It also didn't generate a tonne of suds, however what it did generate seemed to last a reasonable time. At £11.95 plus £4.75 P&P (Auto Finesse Store) for 500ml is towards the higher end of the mid priced shampoo's which are on test. From the 100ml sample I used approximately 30 - 35ml, my personal feeling is that to get the mix I would like I would need to use a bit more. However this is not that excessive. A difficult one to score, the quality of other AF products is hard to deny, however I feel that Lather while it still cleaned the car well and had a nice scent, missed the mark for me in terms of slickness, suds and the amount of product required to get my desired results. Firstly a thank you to Nanolex for very generously sending me a 500ml bottle to test and review. This shampoo was a bit of an enigma to me, when I looked at it I thought it was far to watery to give the results I was after. The scent was almost impossible to place, without sounding obvious it smelt clean, almost clinically clean. However that being said I'm glad it tried it, the slickness was up there with the best of them. As for the suds, I had to stop filling my wash bucket a bit early due the the amount of suds being generated. At £13 and free delivery (polishedbliss.co.uk) it is well placed in the middle of the price range. After working out the dilution rate to remove a medium soiling I ending up using approximately 40ml for the wash, for a light or standard wash I would use less than half that amount, this makes it an economicalish shampoo.However as noted previously my personal opinion is that I would prefer the instructions to be in capfuls, this is probably my OCD kicking in though. Simply put, a great shampoo at a great price. I forget who actually suggested trying this shampoo but it was a great suggestion. Update/edited After using the shampoo a few more times (the neighbours must think I'm nuts) and comparing the amount used to other shampoos, only the economy lets this one down slightly, however the cost is hard to ignore for a top quality shampoo. A great smelling shampoo from Chemical Guys which is quite slick, it gave an average amount of suds which just lasted the wash, however if I was taking my time I am not sure they would have lasted the complete wash without some additional water being added. At £7.95 plus P&P (CYC, and prior to discount) for 500ml it is quite well priced and shouldn't break the bank. Following the instructions and working out how many capfuls to add I settled on 4.5 caps for my standard wash, this is over double some of the other shampoo's on test here and if I was to use this shampoo in the future I would be adding further caps to the wash bucket, so it looses marks for economy. An OK shampoo at a good price, however it didn't really blow me away when I used it, I did have reasonable hopes for it after watching the CG demonstration but they appeared to use a lot of product to make it react the way that it did. That being said, it's still not a "bad" shampoo as the car is now clean. A nice shampoo from Wolf's Chemicals, it doesn't really have a strong scent to it and It gave a good amount of suds which did last the whole wash. It was quite slick and the wash mitt didn't feel like it was dragging on the panels. At £9.95 plus P&P (CYC and prior to discount) for 1L makes it great value for money as most of the shampoo's on test are at least that for 500ml. 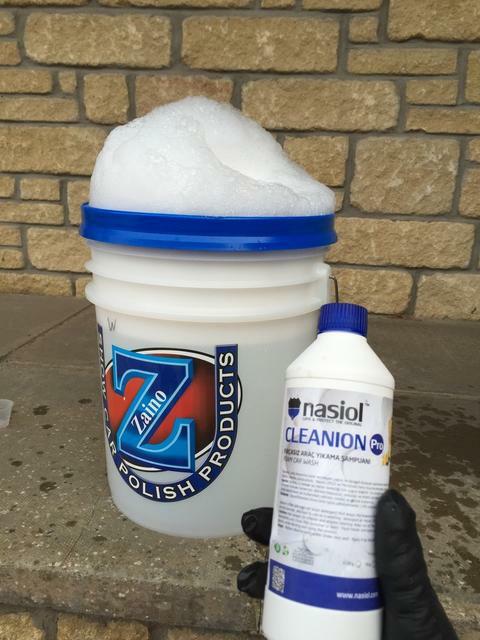 Use: I added 2 caps to the wash bucket and it foamed up nicely. On reflection I wouldn't really change the amount used for any other washes save for perhaps if I was using it in mid winter. An excellently priced shampoo when considering the price is for 1ltr, and quite economical too. It narrowly misses out on the top 3 (at the time of writing) by 0.5 points, however it's not a shampoo to be overlooked if you like value for money. Another overlooked factor with any purchase is storage, this 1ltr bottle takes up less space than some of the 500ml bottles I have. Thanks goes to Craig at CarPro UK for the samples which were sent. This shampoo is nice and slick and gives plenty of suds which easily lasted the full wash. The shampoo has a pleasant scent to it when it was mixed with water, in the bottle it's not that appealing, however the scent doesn't get scored for obvious reasons...it has nothing to do with washing. At £10 for 500ml (CarPro UK and prior to any discount) plus P&P it's very well placed in the middle of the price range of shampoo's tested. 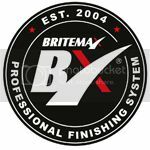 There are plenty of straight forward instructions on the website which give dilution ratios and ml's to be used. It was recommended to use 30-40ml, which is inline with some of the others tested, I opted for 35ml, although I think that 25ml would be fine too (I'll report back on next use). I was very impressed with this shampoo, it had a great feel when using it on the car, it also didn't seem to dry on the car when I was testing it (the wind was picking up), the price is also hard to ignore. The only areas it loses marks for me would be the amount used, which also ties in to the cost aspect. On the next use I will be lowering the amount used to almost half, so additional points could be gained. The reviews continue on thread #3 due to the size of this one. Last edited by cossiecol; 27-02-2019 at 04:33 PM. Thanks goes to John at Zaino for the sample. 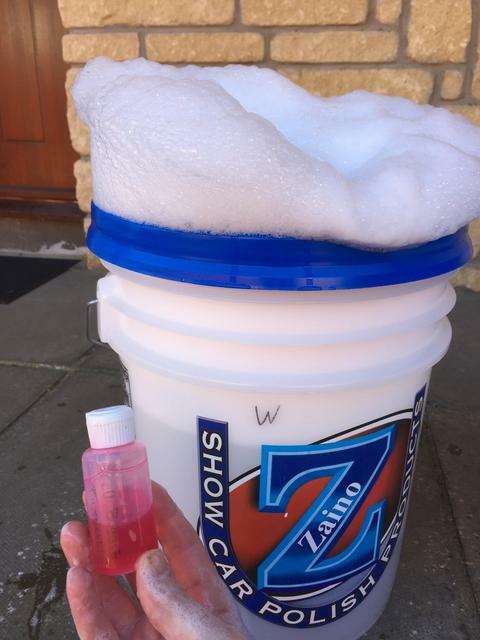 The shampoo is very slick and generated loads of suds (I had to stop filling the bucket a bit early) which lasted the entire wash.
At £9.95 (Zaino, and prior to discount) plus P&P it's very well placed in the test range. The website says to use 1 cap per gallon (roughly 4.5ltr), however the bottle says to use 2-3 caps per gallon, a quick PM to John and I was advised to go with the bottle (website to be updated later). This worked out as a high amount of shampoo to use. I ended up using just under 8 caps, when compared to some of the other bottles with the same cap size this is 4 times as much and was inline with the amount used on shampoo's you need to squeeze the product out. A difficult one to score, there's no arguing that this is a very, very good shampoo when you're using it, however that being said the amount used has to be reflected in the scores. 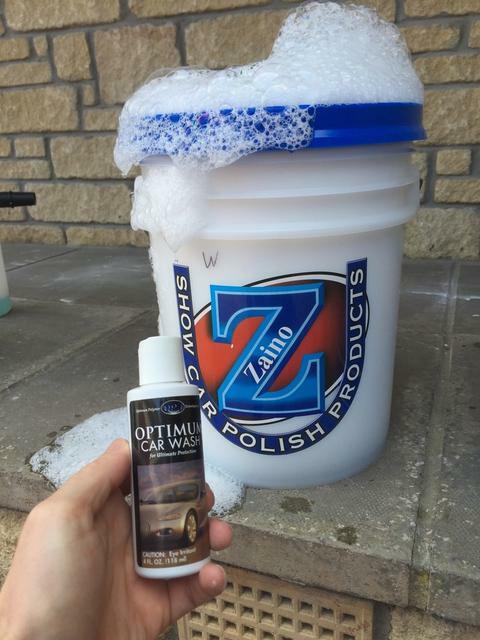 Zaino advise that you could expect to be able to wash 12 mid-size cars from the 500ml bottle, and although it's well priced you would be buying more bottles if you were to use it as a regular wash shampoo. Therefore if I was to purchase Z7 I would end up reserving it for the odd wash, i.e if I was going to show the car off - which I guess is the reason it's call a show car wash.
Quite a nice smelling shampoo from Sonax, the few Sonax products I've tested/used have been excellent so I had a good expatiation for this shampoo, it generated quite a lot of suds which lasted well, however I have to be honest and say that the slickness with this shampoo did not live up to what I expected and I found it slightly grabby, however this could be down to the amount used which I'll touch on a bit later in this review. At the time of writing this review this shampoo is currently priced at £3.19 on Amazon (usually £5.99) for 500ml plus P&P. This is easily the cheapest shampoo I've tested so far. The sample bottles I received stated that one 25ml bottle of concentrate yields 5 litres, so the 50ml of sample bottles I had would yield 10 litres. I adjusted the amount of water in my wash bucket slightly to reflect this. However the usage is extremely high in my opinion as going with the recommended usage it would take 100ml to generate 20 litres. A nice smelling shampoo which generate nice suds, however it missed the mark for me in terms of slickness and the amount of product used, yes it's very cheap (currently) but using the recommend usage you would only get 5 washes (assuming your wash bucket was 20l) from the 500ml bottle, hence why it was scored a 6.5 due to the frequency that you would have to purchase a new bottle. For me if I was using it again I would have to use as a minimum 75ml and see if that helped the slickness. Firstly thanks to Pittsy for sending this sample through. 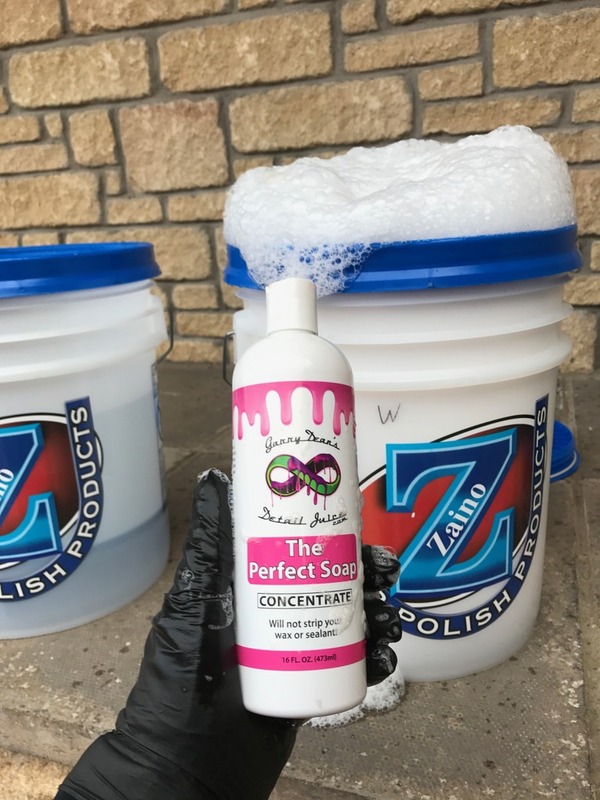 It is a very pleasant smelling shampoo which was nice and slick, it also generated a good amount of suds (I had to stop filling the bucket earlier than normal) which lasted really well. A £7.98 (I4detailing and prior to any discount) plus P&P it's quite well priced for 500ml. The instructions state to use between 1oz-2oz per wash. I, as usual opted for the lower end of the recommended usage and use approximately 1oz for this review. On reflection I wouldn't increase this amount and in fact when I come to use it again I would be dropping the amount use to approximately 0.75oz. A surprising shampoo and one I completely overlooked, it seems to cover most areas that I'm looking for very well and this is reflected in the scores, would I go for it again? As it's not a pure shampoo I don't think it would be on my list despite it being in the top half of the table. Thanks to BTS for sending this through and sorry it's taken this long to get to it! This is the custom shampoo, the scent is that of bubblegum and takes me back to childhood I found that the scent is really quite strong and didn't dissipate when diluted, I have to say that I found it a bit overpowering and it seemed to attract wasps when I was using it - however this could have been my imagination. The shampoo itself was fairly slick, however it wasn't grabby. It didn't generate a lot of suds, and even with adding more product they didn't really last. At £10.00 plus P&P (Obsession Wax) for 500ml it's very well priced. The website says it can be diluted up to 2000:1, I added approximately 35ml to my wash bucket. If I was to use this shampoo again I would be upping the amount I used in the wash bucket to get the desired results. A well priced shampoo, however the lack of suds, combined with the amount used let this one down for me. I also found that the suds didn't transfer to the car very well at all. Although it's well priced the mark is a direct reflection of the amount used and the frequency that I would have to buy a new bottle. Thanks to Spoony for kindly sending this on to review. This is a fantastic smelling shampoo, the scent was of coconut or more specifically coconut suntan lotion. The shampoo was really slick and generated a tonne of suds (I had to stop filling the bucket quite early) which easily lasted the wash. Having not tried anything in the Lusso range before I was looking forward to trying this out. The only place I could find this is a US exporters site, priced at $10.99 for 8oz which is a good price, unfortunately the shipping is a bit of an issue...the cheapest shipping rate is $47.00. Obviously if anyone is able to correct me I'll amend the score, however as this puts it in line with the ammo shampoo it has to be mark accordingly. The instructions say to add 2 capfuls for each gallon of water. This seemed too high so I went for 4 caps, this gave a great result, I'll be reducing the amount used next time I get round testing this shampoo. A superb shampoo which is extremely slick and produces plenty of suds (if I could score it an 11 I would! ), these also transfer to the car exceptionally well. Only the cost let this one down for me. I suspect that the amount of product used would be able to be halved and I'll be testing this the next time I'm able to use it. If anyone is able to advise if this can be sourced in the UK please do as it would have a massive effect of the placement in the overall table. Thanks to Pittsy for sending this sample through to me to add to the list. 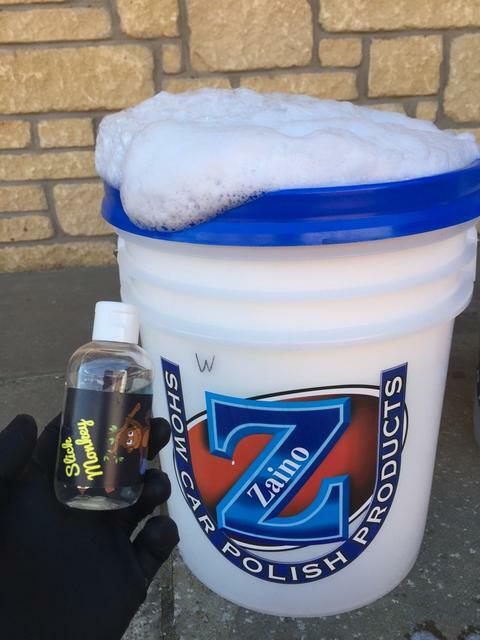 This is a very nice smelling shampoo, it had an apple sweet smell, as you can see from the picture the shampoo generated plenty of suds and it was very slick, however I found that the suds struggled to last much past the full wash. This wasn't so much of an issue as the washing was done by this point. Priced at £13.99 (http://bouncerswax.zpecommerce.co.uk/department/shampoo) for 500ml it's slightly higher than average, however it's not a bad buy at this price. The litre version is £24.95 which makes this a more cost effective option to go for. I opted to go for 20ml (approx), this seemed to give a good result. One thing to note for this shampoo is that I found that the suds didn't transfer to the paint all that well, it didn't seem to effect the cleaning, and this is just more of a personal thing. A very good shampoo which is slick (as the name suggests), give good suds-although I would have like to have seen them last a bit longer and transfer to the pain better (the latter is person thing though), it also has a nice "fresh" smell to it. If I was to buy this shampoo in the future the sensible option would be to go for the litre version. Another apple scented shampoo on review. Orchard Autocare is not a brand I have used before and was keen to give this a try. The information advised that the shampoo can be diluted upto and past 2000:1 which is a bold claim and puts it almost head to head with CarChem's 1900:1. I found that the shampoo was slick(ish) and generated less than expected suds, however there were a few suds remaining at the end of the wash. Priced at £10.95 (http://www.cleanandshiny.co.uk and prior to any discounts and P&P) for 250ml, it's in the top 3 (or 4) of most expensive shampoo's at the time of writing this review. To put this into context, another shampoo on this thread is less that that for 1 litre. The instructions say that 4 pumps (7.5ml) is all that is required for a 15ltr bucket, as mine is a 20ltr bucket I started off at 5 pumps, in the end I ended up going for 8 pumps. On reflection if I use this again I suspect I will be at least around the 10-13 pumps mark to get the suds I'm looking for. I also feel that this would help with the overall performance of the shampoo. A nice smelling shampoo from Orchard Autocare, however the price, coupled with the overall performance let this down for me. Thanks to Pittsy for another sample in the post and sorry it's been so long to get round to testing it. This shampoo has a great scent to it and to me it smelled of caramel. The shampoo was nice and slick and generated really good suds at the start and although they faded during the was there was still a good amount left. Out of the sample I used approximately 25ml which is perfectly acceptable and combined with the price of the bottle works out as a fairly cheep shampoo. A surprising shampoo, to be honest I had no background knowledge of the brand so did not know what to expect from the shampoo. From the quick test I did I was impressed with the shampoo enough to consider buying it in the future as £6 for a good shampoo is a very good buy. 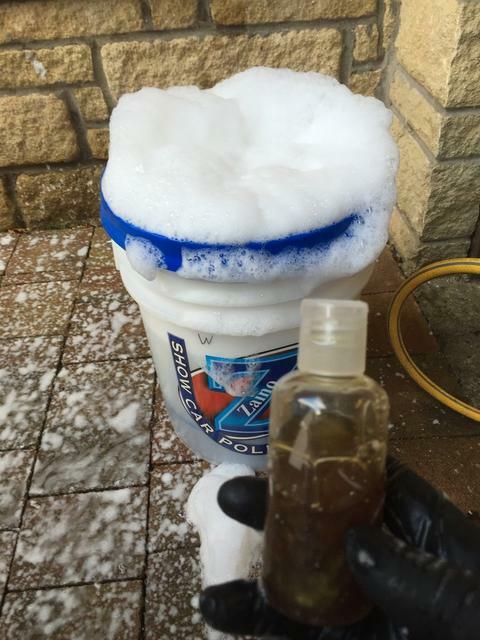 A nice smelling shampoo from FK, it generated an average amount of suds which lasted well throughout the wash. The slickness was not too bad, it wasn't 'grabby' but neither was it like a teflon coated penguin on ice. At £9.95 for 32oz (1 litre) from Clean your car and prior to discount and P&P it's one of the better priced shampoos as a lot are more than this for 500ml. The instructions advised to use 1oz per gallon, however I settled on using 2oz to get the results I was happy with. Using this amount still does not make the most economical shampoo on test. A good shampoo from FK, OK in terms of slickness, OK in terms of suds, well priced, the economy was a bit of a let down as it's marketed as a super concentrated shampoo. Thanks goes to Darren at EZ Car Care for sending this on to test. It's got a great smell of bubblegum and the shampoo itself is nice and slick and I didn't feel like my wash mitt was dragging at all. It generated plenty of suds and I had to stop filling the wash bucket early, these lasted well after I had finished washing the car. These prices make the shampoo pretty much in the middle ground in terms of price. I added 1.5 caps (approx 12ml) to my wash bucket and was really happy with the results, keeping in mind that it was last washed pre-xmas 2015! A very good shampoo, in truth I was shocked how much I liked this one, that's no disrespect on EZ Car Care, I just wasn't expecting to be blown away by it has I was. Good value, good suds, good slickness, damn good smell. If I was being critical then perhaps a bit more transfer of suds to the car could be good. So I finally had the time (and the weather) to test BH Auto-Wash, I have to be honest and say I've been looking forward to seeing just how good or not so good this shampoo was. The first thing I noted was the lack of any real scent to the shampoo. When testing I found it generated a load of suds (had to stop filling the bucket well before the mark), the suds lasted very well and also transferred to the paint extremely well. It was also very slick on the car. Prices for this shampoo are around the £9.00 - £10.00 mark for 300ml, which when I first looked at it I thought that it's not a lot of shampoo compared to others...how wrong was I?! The instructions state to add 5ml (one teaspoon) to your bucket, playing it safe and as I had a 25l bucket I opted to go with 8ml, given the amount of suds this generated 5ml would be more than enough, possibly even less! A stunningly good shampoo, which ticks pretty much all the boxes in-terms of cost, usage, suds, economy, really hard to find fault with it. Firstly thanks to the team a AutoGlanz for sending this on to test. 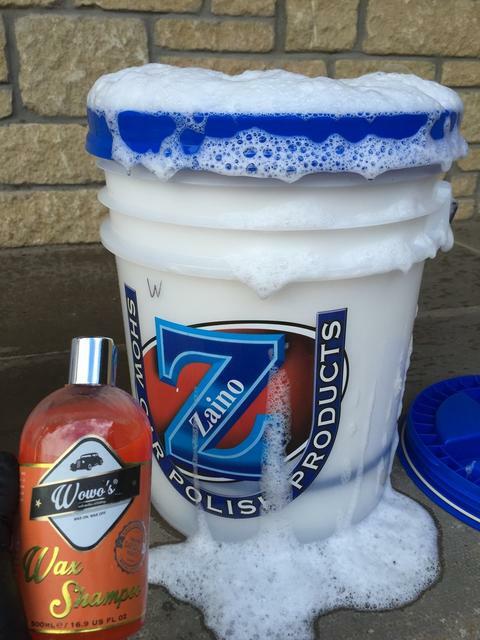 A really nice smelling shampoo from AutoGlanz, the scent was that of Bubblegum (hubba-bubba). It was really quite slick and the mitt did not feel like it was dragging on the paint at all. The shampoo generated a good amount of suds and these seemed to last and transfer to the paint nicely. The prices quoted make this shampoo very adorable with the 5ltr version a the most cost effective option. 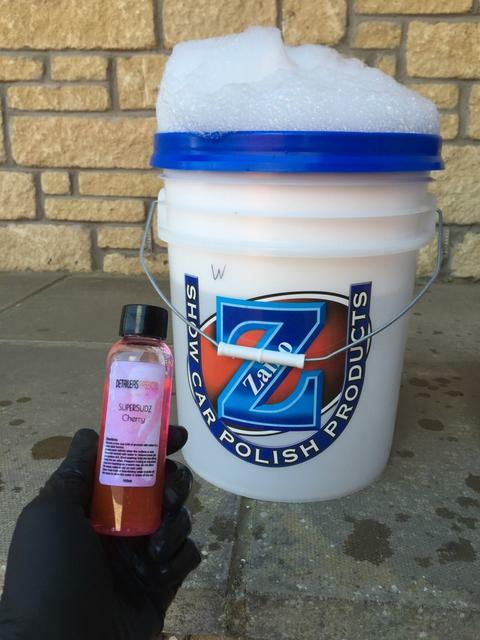 I added 2.5 capfuls to my wash bucket, I was using this again I would probably add in the extra 0.5 to hopefully generate just a bit more suds. However 2.5 caps did work well for the wash.
A good shampoo from AutoGlanz, good, slickness, very good price. The only sticking point for me is the fact that it has a high content of wax in the shampoo. That being said if you were using it when you didn't have the option to add any protection to the car i.e. if it started to rain/snow then this may be a good option. Picture to be updated with the inclusion of the wash bucket. Firstly thanks goes to Dan for sending this on to test. I've been wanting to test this for some time now as it's fairly new to the market. It's a cracking looking shampoo (although I'm not interested in looks) as the for smell, I couldn't really place it so on this occasion I will defer to Pittsy's description of it "bubble gum mixed with Cassis". The shampoo itself was really slick and generated a good amount of suds which lasted the whole wash with ease. This makes it right in the middle in terms of cost. After speaking to Dan I went for 1.5 capfuls, this turned out to be spot on and also gives me the option to increase it to 2 capfuls in mid winter if I wanted/needed to (and keeps the usage still well below most of the others on test so far). An excellent shampoo from ODK, good on price, suds, slickness and usage. Can't really add much more to the verdict. Firstly thanks goes to the team at Nasiol for sending this on to review. This shampoo had a scent a couldn't place and still won't attempt to, however it's not a bad smelling shampoo. It generated a good amount of suds which lasted the wash, they also transferred to the car quite well. The appearance was a bit worrying as it resembled ectoplasm - if your from the 80's chances are you'll remember this. I was also concerned that the thickness of this shampoo would hinder mixing however it was a worry for nothing. The 500ml bottle costs €7.03 or approximately £6(excluding shipping) which is very reasonable. I added 40ml to my wash bucket which is high compared to some of the others on test and on reflection I wouldn't really alter this amount. A good shampoo from Nasiol, the usage was a bit high compared to others, however the price (excluding shipping) means that it is fairly comparable to some of the others for overall cost. Firstly thanks goes to the team at Slick Monkey for sending this sample on to test. This shampoo has a really fresh smell of coconut and was quite slick on the car. It generated a decent amount of suds which lasted well despite it being winding when I was testing it. The 5ltr version appears to be really good value to money compared to some 500ml shampoos on the market. I added 30ml to my wash bucket which gave the desired results, in the future I probably wouldn't alter this amount as it work well for me. A good, cheap, nice smelling shampoo from Slick Monkey, the 5ltr version price is hard to overlook as it's cheaper than some other 500ml shampoos on the market today. This shampoo has a fantastic cherry scent to it which lasted the full wash, it generated a tonne of suds which lasted the full wash. The shampoo was slick and the wash mitt didn't feel like it was dragging on the panels. 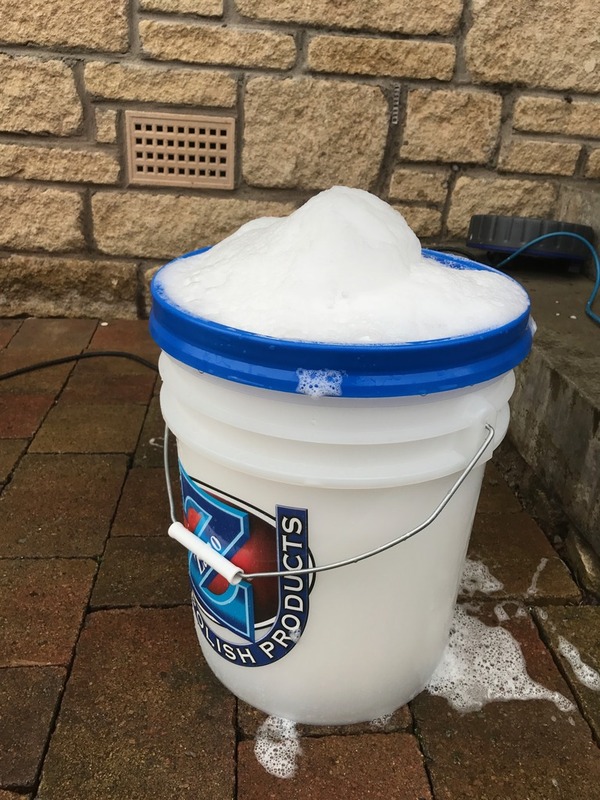 The instructions said to use 25ml in a 3ltr bucket, as my wash bucket is a lot bigger than 3ltrs I went with 50ml in my 25ltr bucket, this worked out quite well. The above costs make it a bit on the high side against ones tested. A great smelling shampoo which dries really well, generates plenty of suds and is slick, the only draw back for me was the usage and I felt the price was a bit high. Last edited by cossiecol; 28-02-2019 at 10:05 PM. A while ago I had the chance to purchase this shampoo during a sale, admittedly it's taken me quite a while to get round to reviewing it. I found that this shampoo had an almost clinical scent to it and it generated a good amount to suds which transferred to the car reasonably well. In terms of slickness it was ok, and I'll touch on that in the use section. There was no dilution instructions so I went with a standard 20ml amount, next time I would probably increase the amount to see if that improved the slickness, however the slickness was not bad nor grabby, I just felt it could be a bit more free. This places this shampoo in the top 3 or 4 for price. A good shampoo, that will need another outing to confirm the economy, good suds and cleaning but the cost lets it down a bit for me, that being said it's still a good quality shampoo and shouldn't be overlooked. Firstly thanks to AVC and Pittsy for sending this on to add to the list. This shampoo has a great scent of.....you guessed it....bananas, which seamed to linger in the air while I was washing the car. It generated a good amount of suds, however I found that they didn't last all that well. The shampoo was also reasonably slick. As per the instructions I added 2 capfuls to the wash bucket, this brought it in-line with some of the top concentrated shampoos on test. Prices are prior to shipping and any discounts available at the time. A good shampoo from AVC, I was impressed with the ease at which it removed the dirt from the car, however for me the slickness could be slightly improved, that being said it's not one to be overlooked even if it's just for the smell. This is one of those shampoos/brands which were (if I'm being honest) not on my radar to try, it was purely that I saw this one when ordering some samples and I thought I'd give it a try. The shampoo was quite slick and generated a load of suds which lasted the whole wash. The scent is of cherry, and unlike some of the other cherry ones this on was quite nice and remained through the wash. I went with 20ml - the guides for the full size bottle said to use 1 or 2 caps, however I hadn't seen that at the time of testing. This appeared to give me the mix I was looking for. This shampoo is available from various suppliers for £9.99 for 500ml (prior to shipping and any discount). A good shampoo which performed well in most areas. It's not a brand which I am overly familiar with however I was quiet happy with the performance of this shampoo and glad that I gave it a try. Being relatively new to the market I was keen to try this out, the shampoo has a really nice scent to it and try as I might I couldn't place it. The shampoo was extremely slick and generated an absolute tonne of suds and I had to stop filling the bucket early, the suds also lasted the wash with ease. After having a read at the instructions it struck me that for my 25ltr wash bucket I would be using 25 capfuls, thinking this was a bit high I contact Fraser who advised that 6-8 capfuls should be enough, this is till quite high and could probably be reduced by 50% without impacting the performance of the shampoo. As an added benefit this shampoo made a big difference with drying the car. This is available from Wowo's, priced at £10.99 for 500ml (excluding P&P and any discounts) it's quite well priced. A good shampoo with a fantastic sent, nice and slick, plenty of suds and well priced. The usage was a bit high in my opinion and could possibly be reduced by 50%. This shampoo had a scent that I couldn't really place and unfortunately I wasn't overly keen on it, that being said it wasn't an overpowering one. The shampoo generated a good amount of suds at the start, however these did not last well at all - that being said it's important to note that this was never designed to be a sudsy shampoo. The slickness of the wax shampoo was good as well. After having a read at the instructions I decided to go with the same amount of shampoo as used with the Dry Shampoo, I therefore opened the bottle to pour out the desired number of caps (6). Upon doing so the neck of the bottle cracked and some of the plastic ended up in the bottle....not good. In order to still give the shampoo a test I ended up pouring the remaining capfuls in via a sieve. Fraser advised that the top/neck of the bottles are sealed as the wax shampoo can seep when on it's side and that the labels will be updated to prevent this happening in the future. This is available from Wowo's, priced at £11.99 for 500ml (excluding P&P and any discounts) it's quite well priced. A good shampoo which was really slick and well priced. The usage was a bit high in my opinion and I would have liked to have seen the suds lasting longer (although this is personal opinion). The bottle neck issue was a bit alarming but will be sorted for the next batch. This shampoo has a fantastic bubblegum scent to it and was really slick on the car. The shampoo generated a fantastic amount of suds which to say lasted the wash was an understatement! I spilled some suds on the drive and after I had washed, dried and waxed my car they were still there! On a side note the suds transfer to the paint is the best I have used (so far) and it also dries really well. Reading the instructions the bottle advised to use 0.5 per gallon. This worked out as a lot of product as I have a 25ltr bucket. Instead I opted to use 2oz and I would not look to increase this at all. This is available from a few stores and in a few sizes, and example price would be for the 30oz (950ml) bottle priced at £13.99. A very impressive shampoo, only the usage lets it down for me, however that being said it's very enjoyable to use and will be one I would reach for in the future. The original picture of the suds really doesn't do it justice. So on the one that I have been itching to give another test. Thanks to Imran (at in2detailing) I found this in my possession, this is the updated perfect soap and I have to say that I'm a massive fan of the old one. There's no change to the ridiculous amount of suds that this shampoo generates and it would have probably lasted at least two cars. The scent is still that of bubblegum, although slightly different - possibly more artificial smelling than the old one. Slickness is still very good! I went for 5ml which is the same as I use on the old version, the consistency is thicker with the updated one. Slickness is very good, down slightly on the last one I tested but that was over a year ago now. Suds transfer to paint is still great. £18.49 for the 16oz (around 500ml) - a very quick calculation (which means I could be wrong) makes this currently the cheapest overall (based on unit size, usage and cost to buy). £64.99 for the US gallon, this is really good value. I wouldn't want to start to work out how long that would last someone! The new shampoo is extremely good, cheap, will last ages. For me it lost a bit of slickness from the old one, however that being said it's also available in the US gallon size in the (circa 3.7ltrs in the UK) for a cracking price vs buying separate bottles. This is (like the old shampoo) very close to the perfect shampoo when all factors are considered and will be added to the few that I regularly reach for. NB I'll be testing this a few more times to make sure I have the scores correct. The black shampoo is aimed at matt or glass back cars, but seemed to work well on my white one, it has a fantastic rich scent (which I couldn't place) to it which lasted the full wash, it generated a tonne of suds which lasted the full wash. The shampoo was slick and felt good to use on the car, it cut through the dirt very well. A great smelling shampoo from Dooka, the scent was that of apples which lingered throughout the wash. The shampoo generated a good amount of suds and was nice and slick on the paintwork. The directions state to add 20-30mls (more for hard water and less for soft water) I opted to go for 15mls to see how it perform and I would probably only up this if the car was in a real state. A really good to use shampoo which is well priced, slick and smells good too. 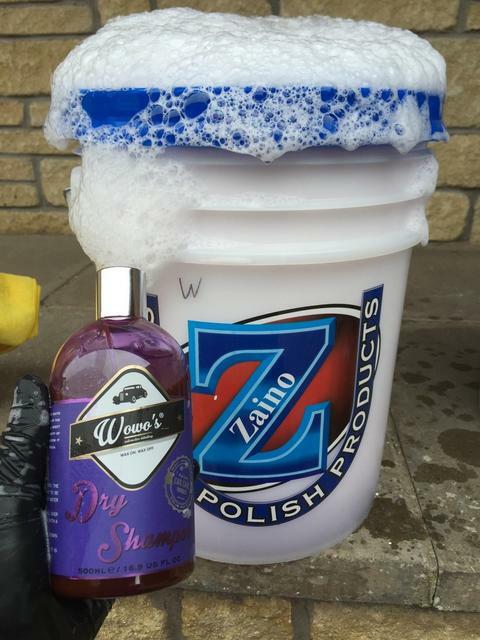 Firstly thanks to Jeff and the team for sending out a sample of the new wash and wax shampoo to test. The shampoo generated a really good amount of suds for a shampoo with wax, usually I find that this is an issue with these types of shampoo's. It was really slick on the paint and the scent (to me) was that of peaches. As per guidance from Jeff I added both of the bottles (not pictured) which give a total of 60ml's (2oz), this is high usage when compared to regular (pure) shampoo's but less than some of the wax added shampoos I've used before. 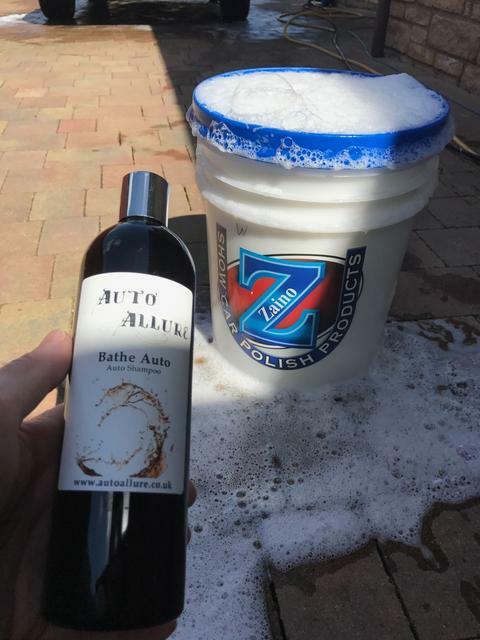 An impressive wash and wax shampoo - the car practically dried itself, it was nice and slick on the car, the suds were good and lasted well, the usage was slightly up on what I personally aim for, however I feel confident that the quantity could be reduced to circa 40ml or less. The shampoo is listed as their entry level shampoo so I was keen to see how it performed. The shampoo generated a reasonable amount of suds which lasted the wash and was also reasonably slick on the paintwork. It had an orangey scent to it which was good to smell. I opted to go with 30ml for this test, in the future I would possible look to add slightly more to see if it aided slickness. These prices make the shampoo cheap to buy, especially if you are considering 5ltr options. A good shampoo that's cheap to buy, smells good and leaves a nice finish on the car. Firstly thanks to the GleamFreaks team for sending this sample out to test, it wasn't one on my list so it's always nice to get one unexpectedly. The shampoo itself had a nice deep fruity scent which I couldn't place (Gleam Freaks list this as Parma Violet). The shampoo generated a good amount of suds and was slick on the paint. I added 20ml to my bucket and on reflection this seemed the correct amount. Super Suds is available from Gleam Freaks and is priced at £9.99 for what appears to be 500ml (prior to P&P and any discounts). A good smelling, slick shampoo which is quite economical to use and one that sailed under my radar when looking at shampoo's. Being new to the market I hadn't had a chance to test this before now, the shampoo itself arrived in a plain bottle with only the work "shampoo" written on it, I'm not sure if this is due to it being a sample or not, however on the website it appears similar. The shampoo had a scent resembling strawberries, however when diluted the was a lot better. It generated an absolute tonne of suds which easily lasted the wash and were really slick. As there were no instructions on the bottle or website I went for 30ml as the car hadn't been washed for seven weeks, this turned out to be far too much and 15ml should be all that is required for a maintenance wash.
A nice shampoo which give tonnes of suds which transfers to the paint very well indeed, cheap to buy, gives good results. A lack of instructions regarding quantity could do with being address in my opinion. Alien Magic have been on the scene for some time now and admittedly I've not use many products from them. The shampoo sample was in a plain bottle with a simple logo on it, which I liked. The scent is that of Apples. It generated a great amount of suds which rivalled some "pure" shampoos which has been tested. The suds to paint transfer was impressive and the shampoo was slick on the paint. The guide on the website advised to use 1:500, however I ended up going for 30ml. This turned out to be far too much and 15ml should be all that is required for a maintenance wash.
For a shampoo and wax product this one is up there, it smells good, works well, generates a good amount of suds and leaves a nice finish. If I was buying this for personal use the 1ltr or 5ltr would be my preferred option, the 250ml seemed over priced in comparison to the 500ml. The shampoo arrived well packed and in a good quality bottle which is ergonomic in the hand. I'd like to be able to give you a description of the scent of the shampoo however I just can't place it. It's not an off-putting scent by any means, it smells quite clinical, unfortunately that's the best I can do on the scent. It generated a good amount of suds however it was not slick on the paint. "Apply with a clean sponge using a circular motion - the incredimitt was used in straight lines not a "circular motion". Although the shampoo cleaned well, I found it to be grabby on the paint and unfortunately was not enjoyable to use. This shampoo is not a pure shampoo, rather it is SiO2 infused, meaning that it should offer some protection as well as cleaning the paint. The shampoo had no real scent to it and was quite acceptable in terms of slickness over the paint. It generated a good amount of suds, however these did not last the wash and required to be topped up. Following the instructions I added 20ml of shampoo for the 25ltr wash bucket, this was a good amount, however I feel that it would be possible to nearly half that is still be very effective. A very good shampoo which offers some real protection, the Economy and cost scores have taken into consideration the level of protection offered which should hopefully reduce the frequency of washes. The shampoo arrived in a good quality bottle and featured a good quality cap with a nozzle for dispensing the shampoo, this is my preferred cap as it limits the mess and messing about. The shampoo itself was very slick and generated a lot of suds which laster the wash.
As the instructions didn't state the exact amount of product to add I went with 30ml of shampoo for the 25ltr wash bucket. The appears to be far too much product and on next use it will be reduced. This makes it one of the higher prices shampoos on the list. A very good shampoo and enjoyable to use, on next use the quantity will be reduced which may affect the overall scores, however it's one I'll be reaching for in the future. The shampoo arrived in a well packed, good quality bottle with clear labelling and instructions printed on the bottle. The scent of that of apples and was not overpowering. The shampoo produced a tonne of suds and was very slick, the washmitt glided over the paintwork with ease. The shampoo is available in 500ml and 1000ml sizes. A very good shampoo which covers all the bases very well, my only comment would be the usage was high compared to others, however this will be retested and the amount reduced. The shampoo arrived as per the norm for Autoglym in a good quality container, well packed and had a scent I couldn't place. The shampoo produced a tonnes of suds which lasted the wash, it was also fairly slick - not the slickest however my washmitt didn't feel grabby on the paint. The instructions state 10ml of product per 10ltr bucket, so I went with 25ml which is perfectly acceptable however, for a super strength shampoo I would have liked to have seen this a lot lower. The shampoo is available in the 5ltr size and costs £46.99 (£9.39 per 1000ml), which when broken down is not too bad however is £13 higher than some of the other (more economical) shampoos on test. When thinking about all the scores and ratings I have given each shampoo it struck me that whether you/I decide to buy a shampoo on opposite ends of the spectrum in terms of cost , they will all clean your paint especially if you use a pre-wash so I wouldn't get too hung up on the scores and go for one you enjoy using. Hopefully there are aspects from each shampoo you like. I guess what I'm trying to say is there really isint a "bad" shampoo that I've tested yet. 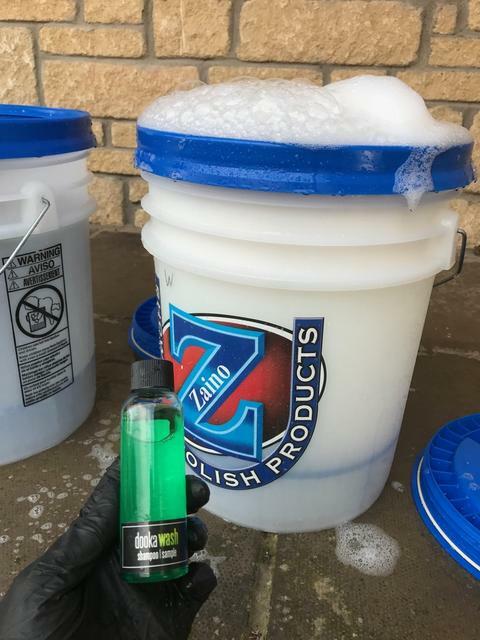 I hope you've found this thread useful, and to re-cap this is not a scientific test, however all buckets were filled with the same amount of water, and the products were used a few times once with the mixture set out by the suppliers, and the other times adjusted by me until I was happy. Last edited by cossiecol; 27-02-2019 at 04:06 PM. Last edited by cossiecol; 27-02-2019 at 03:50 PM. would you rate carchem better than cgcwag? I haven't used chcwag before, however Carchem is an excellent shampoo so I really don't think you'll be disappointed with it at all mate. Anyone else have experience with it ?